FMSCI has unveiled a six-round calendar for the 2019 Indian National Rally Championship, the first to be held by new promoter Champions Yacht Club. Younus Ilyas emerged victorious in the curtain-raising round of the Indian National Rally Championship in Bengaluru after staving off a late challenge from chief rival Dean Mascarenhas. Sirish Vissa says beating the factory Mahindra team with customer-entered Polo cars is a big driving force for Volkswagen Motorsport India. Volkswagen Motorsport will “evaluate” further factory entries in the Indian National Rally Championship with the Polo R2, but is unable to commit to anything at present. 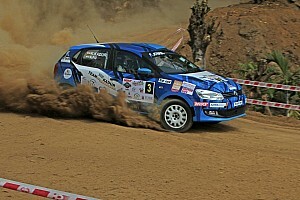 Volkswagen Motorsport India enjoyed a successful run in the 2018 season of Indian National Rally Championship, with the manufacturer’s Polo and Polo 2 rally cars bagging 10 victories and 37 podiums across all classes. 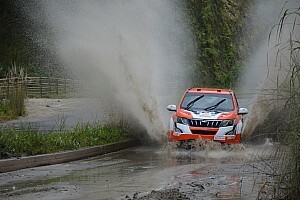 Mahindra Adventure stalwart Gaurav Gill became the Indian National Rally Champion for the sixth time with a convincing victory in the season-concluding Popular Rally on Sunday. The 2018 season of the MRF Indian National Rally Championship is set for an epic conclusion this weekend as Kerala plays host to the season-ending Popular Rally. Delhi’s Gagan Sethi claimed the top prize in the 2018 edition of the JK Tyre Hornbill Rally in Nagaland on Monday. 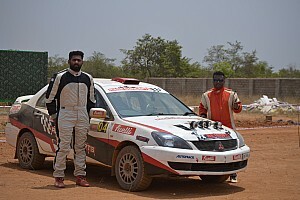 Karna Kadur cruised to victory in the penultimate round of Indian National Rally Championship in Chikmagalur, while Gaurav Gill staged an emphatic comeback to finish fifth overall in Coffee Day India rally. Karna Kadur moved into the lead of the Chikmagalur round of the Indian National Rally Championship after overnight leader Gaurav Gill suffered an unfortunate retirement in the final stage of Saturday. Gaurav Gill holds a slender lead in the Chikmagalur round of the Indian National Rally Championship following the Super Special Stage on Friday. Mahindra Adventure’s Amittrajit Ghosh claimed his first victory of the 2018 Indian National Rally Championship season in Rally of Arunachal after long-time leader Gaurav Gill suffered a shock late retirement. Gaurav Gill built a sizeable gap on the opening day of Rally of Arunachal, as Phalguna Urs denied Mahindra Adventure a 1-2 finish. Three-time Asia Pacific Rally Champion Gaurav Gill carries the favourite tag heading into the third round of Indian National Rally Championship in Arunachal Pradesh. TVS Racing enjoyed another successful year in the MRF National 2W Rally Championship, clinching titles in four out of five categories. India’s domestic motorsport calendar isn’t the most packed in the world. Far from it. 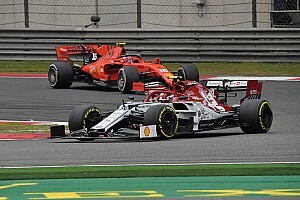 Yet we somehow still manage to have date clashes between major races and rallies. Hero MotoSports rally team is offering motorsport fans a chance to meet India’s only Dakar finisher CS Santosh in Pune. Team Polaris’ Arindam Saikia and TVS Racing rider R Nataraj were crowned champions in their respective categories of Raid de Himalaya following the conclusion of the final leg on Saturday. Arindam Saikia looks set to take victory in the 20th edition of Raid de Himalaya after extending his advantage in the penultimate leg on Friday. Lhakpa Tsering has been forced to retire from the 20th edition of Raid de Himalaya with an electrical issue, organiser Himalayan Motorsport has announced. The 20th edition of Raid de Himalaya is officially underway following the flag-off ceremony in Leh on Tuesday. Three riders will brave out the 2018 edition of Raid de Himalaya in rally-spec scooters, organisers Himalayan Motorsport have announced. 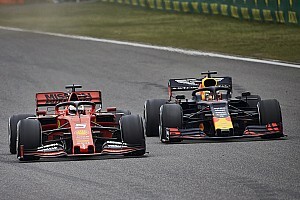 Several vehicles due to take part in the Raid de Himalaya are stuck in a traffic jam lasting 40 km, creating panic and forcing competitors to look for alternative routes.